Stress to these kids it they have ever interacted with the Salvisa Ruritan Club, they should include that on their application. Our deadline is April 15. The Anderson County Scholarship is available on ACHS Counselor's Office Webpage at: http://www.anderson.k12.ky.us/counselorsoffice1.aspx at the bottom of the page. The local scholarship packet is available in the guidance office. Students must sign to pick one up. We're excited to meet with your students at a variety of events this spring! If your admitted students still have questions about joining our Cardinal Family, this event is a great opportunity for them to finalize their decision and complete important next steps. Registration is required by March 18. The Office of Admissions offers New Cards at Night extended office ours every Monday from 3-7 p.m. EST (through April 29.) Students and families may meet with admissions, financial aid, housing, orientations and Metro College. Do your students need one last look at campus? Admitted students can attend Pop-in Tours Mondays-Fridays, February 11-April 22. 45-minute student-led tours will leave promptly on the hour between 10 am- 3 pm from the Office of Admissions. We're taking UofL on the road! Admitted students and their families are invited to join us for receptions in multiple cities across the country. Students will have the chance to meet fellow Future Cardinals and speak with admissions, financial aid, housing, and orientation. Admitted Student Night details and registration. Think College Now: Stay READY! Think College Now: Stay READY! is a program for African-American, Latinx and/or first-generation high school freshmen, sophomores and juniors. Attendees will participate in workshops, learn about financial aid, speak with current students and tour campus. High school sophomores and juniors are invited to learn more about the University of Louisville at previews in multiple cities this spring! Students and their families will hear from admissions, housing, and other university representatives. Of course, you and your students can always call or email our office, or connect with their personal UofL admissions counselor. Admitted students can find a complete list of their next steps on their First-time Freshman Checklist. PS: Join us for a University of Louisville campus tour during the 2019 NACAC National Conference this fall! Registration is now open. Tour details and registration. Please read below to find out about the TransCanada scholarship available to your students. To date we’ve only received ONE application from a student in Kentucky. We distribute scholarships proportionally across our footprint, so the more students who apply from each state, the more scholarships we are likely to give out in that state. In January 2017, TransCanada launched its first-ever, internally administered scholarship program for students pursuing post-secondary education. At TransCanada, we believe that helping students succeed helps communities succeed. Our scholarship program was created based on an understanding that support for education is not only important to our business, but also important to communities. In 2018, TransCanada received over 2,500 applications and more than 450 scholarships were awarded to students from 298 different communities across North America. In the United States, we award three different scholarships based on community leadership, indigenous legacy, and trades. Our criteria focuses on leadership skills and community involvement, not solely academic performance. Students receive financial support directly, no through a post-secondary tuition account, so they can remove whatever barriers to education they may have, such as transportation, tuition, room and board, books, or meals. Interested applicants may visit https://www.tcscholarships.com/ to see if they pre-qualify for the scholarship, before even filling out the form. The deadline to apply for a scholarship is May 17th at 11:59:59p.m. Please share this website, and the attached pdf file. I have additional materials to share if you need them (posters, etc.) and please reach out to me with any questions. Good afternoon! I'm writing today to announce an exciting scholarship opportunity from the Kentucky Association of Government Communicators (KAGC) for your students. Please share this opportunity with your school newspaper staff, guidance counselors, and others who you feel would best be able to get the word out to your students. Please let me know if you have any questions, and thank you. Disclosure: KAGC qualifies as a tax-exempt organization under Section 501 (c) (6) of the Internal Revenue Code. Fees are not deductible as a charitable contribution but may be deductible as an ordinary and necessary business expense, depending on your individual tax circumstances. Please consult your tax advisor. I want to let you know about a new scholarship being offered for your Seniors by Apartment Guide. 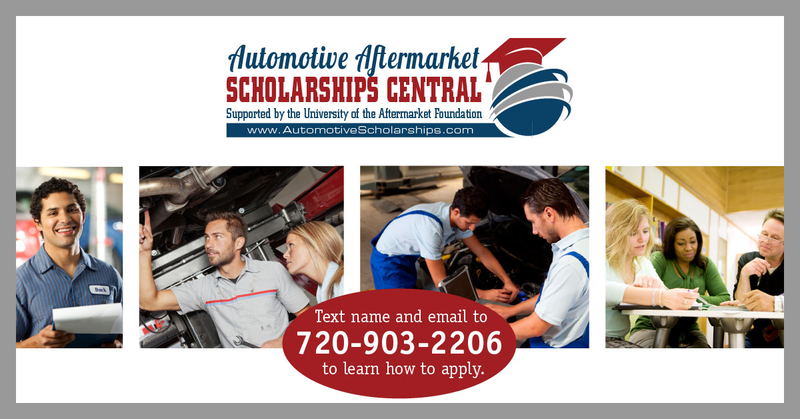 We will be giving away two $2,500 scholarships for the Fall 2019 semester and would like to share this information with your Senior students. The contest is open to students who are over the age of 17, maintain a 2.5 GPA, and will be enrolled in an undergraduate program full-time during the Fall 2019 semester. Information and applications are available at apartmentguide.com/students/scholarship. We know that housing, books, fees, and study abroad costs can be major expenditures for students and their families so we’re allowing the winners to use the funds for non-tuition costs if they choose. All funds must go towards an education-related expense. This could be school books, class fees, dormitory housing, meal plans, etc. If you are not the appropriate contact for external scholarship information, could you please direct me to the correct colleague? I know this is a busy season for you, so thank you for your time. If you have any questions, don’t hesitate to reach out! As your students are starting to receive college acceptances and financial aid award letters, they will face having to make some big decisions. College Covered can help with easy to use tools and resources to assist your students and parents in making informed choices. Compare Award Letters: Our Award Letter Comparison Tool can help students and parents compare their financial aid packages from up to 5 different colleges to help determine which package is best for them. Campus Visits: As your seniors narrow down their college choices, it may be beneficial to visit college campuses again, when possible. This article on How to Get the Most Out of Every Campus Visit can provide a helpful roadmap. 2019 Scholarship Award Sweepstakes: Discover Student Loans is giving away a $5,000 scholarship each month this year! The earlier your college bound students and parents enter, the more chances they have to win. Families can visit Scholarship.CollegeCovered.com to enter today. Sweepstakes are open from February 2, 2019 through January 31, 2020. Please share CollegeCovered.com, a FREE resource on planning and paying for college, with your students and parents. If you have any questions or feedback, please feel free to contact me. The Kentucky Manufactured Housing Institute is proud to introduce two types of scholarships for 2019. Please see the attached documents for the application and details. We look forward to helping students continue in their educational journey. Please do not hesitate to reach out to me with any questions. Students who would like to enter the contest must submit an essay. There are three prizes available for this scholarship contest, totaling $5,000. More information can be found here: https://www.beckerlaw.com/becker-scholarship-program/. The deadline is May 30th, 2019, so with that being said could you please include this awesome scholarship on your schools website? Please let me know if there are any questions. We, at Commonwealth Credit Union, are excited to share with your graduating seniors an opportunity to win a $1,000 scholarship! In order to further the educational endeavors of all students, this scholarship can be used at any post-secondary institution, including trade schools and other forms of higher education, that result in students earning a diploma or certification. What is offered to my students? = How are you bettering lives in your community now? = How can CCU better the lives of college-aged students? = How will your education enable you to better lives in the future? = What are you looking for from your banking experience? If you or your students have any questions about eligibility, the application, or the scholarship process as a whole, please reach out to our Scholarship Committee at scholarships@cwcu.org. Commonwealth Credit Union scholarships have helped fund the educational dreams of first-generation college students, national merit finalists, and students who have worked hard for 12 years, waiting for their chance to change the world. Living our purpose of “Bettering Lives in the Communities We Serve,” means we equip future generations with the tools needed to become tomorrow’s leaders. How do We CU Differently? Find out! My name is Mackenzie Riordan and I am the PR & Event Specialist at Bluegrass Cellular. I am happy to announce that Bluegrass Cellular is awarding twelve (12), $1500 scholarships to local college-bound high school seniors in the surrounding area of Central Kentucky! For more information you can go to www.bluegrasscellular.com/scholarships. To submit scholarships students can submit through this link here, drop off at a Bluegrass Cellular store, or mail to Bluegrass Cellular. I have attached the scholarship on this email for easy access. The scholarship is due on March 29, 2019. If anyone has any questions or concerns about the Bluegrass Cellular Scholarship, please let me know! We hope you will encourage your students to apply for the program. If you have any questions, please feel free to contact us at admission@smith.edu or 413-585-2500. Please let me know if you have any questions or concerns. Have a great rest of your week and thanks for all that you do for our students! Happy National School Counseling Week! Thank you for all the work you do to help your students build the bright futures they deserve. At College Covered, we’re proud that our college planning resources are a part of how you support your students. I want to be sure you’re aware of some of our latest tips and tools. 2019 Scholarship Award Sweepstakes: Discover Student Loans is giving away a $5,000 scholarship each month this year! The earlier your college bound students and parents enter, the more chances they have to win 1 of the 12 scholarships available. Families can visitScholarship.CollegeCovered.com to enter today. Sweepstakes are open from February 2, 2019 through January 31, 2020. College Planning Calendar: Our customizable calendar is the easiest way you can help your students stay on track as they navigate applications and determine how to pay for college.Watch this video to learn more about the personalized monthly checklists you can offer your students and parents through the College Planning Calendar. Thank you for sharing College Covered! If you have any questions or feedback, please feel free to contact me.